Mumbai : The sudden outburst of fire in Mumbai's Andheri hospital has taken lives of eight, injured 140. Sadly, among the victims is a six-month-old baby. The fire accident took place on Monday, December 17. Sources confirmed that a massive fire swept through the government-run ESIC Kamgar Hospital located at Marol in suburban Andheri. The fire was so intense that it killed 8 people on the spot. Eight to ten fire tenders were rushed to the spot. A fire brigade official said the fire brust at the hospital was reported at 4.03 pm and it was extinguished at 7.35 pm. "The building is a five-floor structure and the blaze erupted on the fourth floor," the official said. The government expressed deep grief and has has announced Rs 10 lakh each as compensation for the next of the relatives of those who died in the fire. "Union Minister of State (Independent Charge) for Labour & Employment, Santosh Kumar Gangwar announced compensation of Rs 10 lakh each to the families of those who lost their lives in the accident, Rs 2 lakh each for those who have serious injuries and Rs 1 lakh each for those with minor injuries," a labour ministry statement said. Gangwar along with Secretary, Ministry of Labour & Employment and Director General, ESIC visited the hospital today to take a look at relief work and meet the victims and their families. Investigation regarding the accident is underway and the exact reason of the blaze is yet to be discovered. 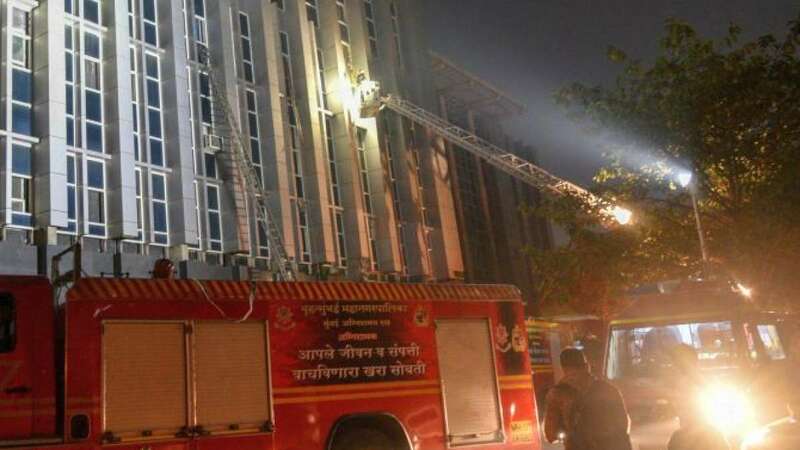 Preliminary report said that the building material, kept at the ground floor of the hospital for renovation work caught fire, the ministry said in the statement.